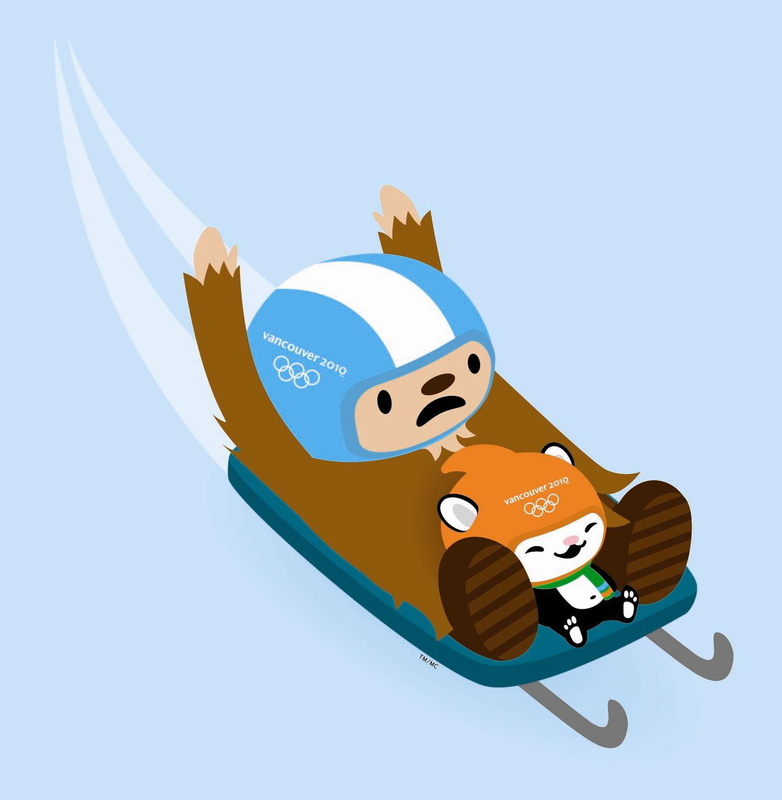 Quatchi’s Sport of the Day: Luge! Programming note: On tonight’s Simpsons, Homer and Marge go to Vancouver as members of the American Olympic curling team. 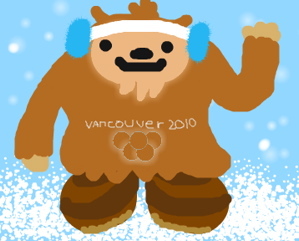 I had faint hopes that Quatchi would have a cameo, but instead they referenced a fictional mascot named Chillbert. 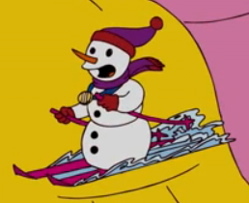 Here’s closeup of a Chillbert pin — he’s “one of the four winter games mascots.” We don’t get to see the other three.